This entry was posted in Uncategorized and tagged goddess and child, love painting, madonna and child, Mother child painting, tree painting. Bookmark the permalink. This is a beautiful composition. It reminds me of my wife’s desire to tend to the garden of our son’s soul. 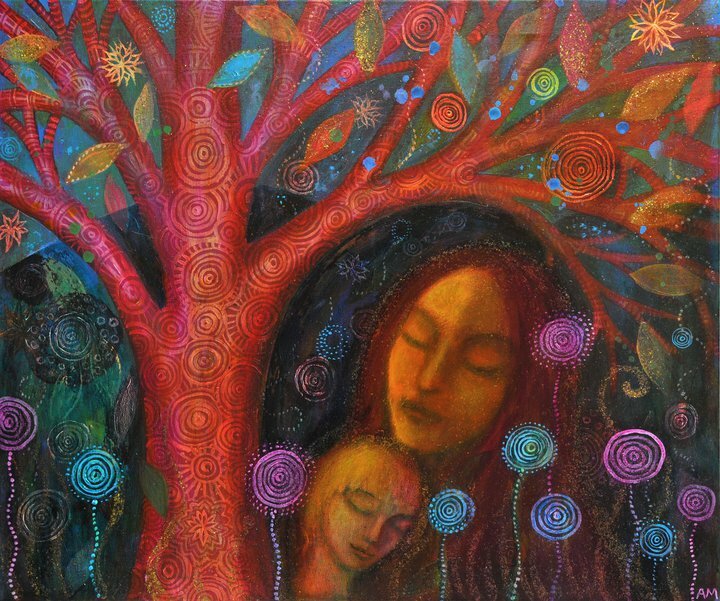 It also reminds me of one of our favorite artists, Alan Houser, and his rendering of the connection that mother’s share with their children: oneness, security, spirituality. Thank you for sharing. I love this…along with the rest of your work. But this speaks to me. I was looking for an image to depict the connection I feel to the child I just lost. Where do I go to purchase your work?